Discover the momentous motor sports events that took place this weekend in history…..
1904: Arthur Duray established a new land speed record of 88.76 mph (142.85 km/h) in Nice, France driving a Gobron-Brillié during the ‘Paris-Madrid’ race. 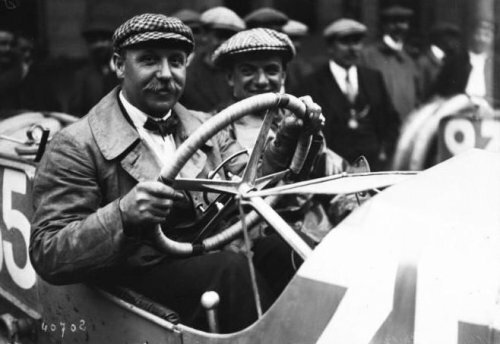 On the same day Louis Rigolly also driving a Gobron Brillié extended the land speed record to 94.78 mph (152.53 km/h). 1928: The first Australian Grand Prix (cover image) was run at the Phillip Island circuit in Victoria, Australia. The race was originally to be held on Monday 26 March however rain forced postponement until Saturday 31 March. It was open to “light” cars of up to 2 litre capacity and it attracted 30 entries, of which 17 started. The event was conducted as two separate races, with the first held in the morning for Class B (750cc to 1100cc) and D (1500cc to 2000cc) entries, and the second held in the afternoon, for Class A (up to 750cc) and C (1100cc to 1500cc) cars. The competitor setting the fastest time was to receive a £100 trophy donated by Mr CB Kellow and would be regarded as “Champion of the Day”. The overall winner was Arthur Waite in an Austin 7. 1956: Ralph DePalma (72) died in South Pasadena. One of the premier racers of the century’s second decade and winner of the 1915 Indy 500, is most famous for his rivalry with fellow racing legend Barney Oldfield. During World War I, car racing on a grand scale was not allowed because of the war effort. However, match races pitting two rivals against each other were deemed appropriate as they provided maximum entertainment with a relatively minimal allocation of resources. Race promoters naturally realized the appeal of starting DePalma and Oldfield on the same line with the same end in mind. Beyond their ordinary competitive relationship, Oldfield and DePalma embodied two contrasting archetypes of the champion. Brash and crude, Oldfield talked as much as he raced, cheated as much as he played fair. He ran his car with an unlit cigar clamped in the back of his teeth. DePalma, on the other hand, was a true gentleman, gracious both in victory and defeat, but no less competitive than his abrasive rival. The match race was originally set for June 23, 1917, but heavy rains postponed the event by a day. This gave the race promoters an extra day to magnify the publicity accompanying the personal rivalry between DePalma and Oldfield that had flared up after DePalma won an appeal for calcium chloride to be laid on the track to keep the dust down. 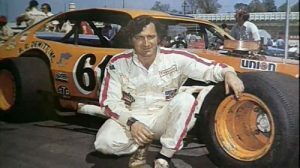 An outraged Oldfield claimed dust was “part and parcel of dirt-track racing.” Later he said, “I’ve been waiting a long time to get DePalma on a dirt track. I’ll show him what racing is all about.” Not to be outdone, DePalma in his characteristic style explained, “Modesty is a word Greek to Oldfield and he’s probably been telling everybody how he is going to make me eat his dust.” Following the heavy rains on the 23rd, the racetrack was pronounced to be in excellent condition. An estimated 15,000 fans turned out to watch the two men race. Unfortunately, the race didn’t live up to its hype. Oldfield won all three heats. His car, the Golden Submarine, was so much lighter than DePalma’s Packard that its speed through the turns more than made up for DePalma’s bigger engine. 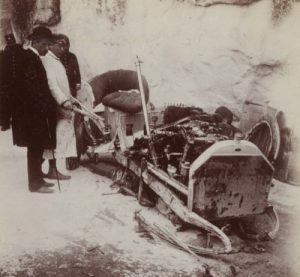 Perhaps a credit to Oldfield’s unconventional quest for victory, he had chosen to drive a car designed by Harry Miller. Miller’s all-aluminum car had been mocked in the public, but he and Oldfield got the last laugh at the match races. Miller would go on to revolutionize race-car design, as his cars dominated the Indy 500 for over a decade. 1985: NASCAR Hall of Famer Richie Evans opened the Modified season with a rain-shortened triumph in the Icebreaker at Thompson Speedway, Connecticut, US . Evans led 23 of 47 laps before rain halted the event 28 laps short of the scheduled distance. Pole-starter Jeff Fuller took second with Brian Ross third. 1996: The Brazilian Grand Prix race was held on Marcat Interlagos, amidst heavy rain. Six different teams scored points, with Damon Hill following up his win at the first round of the season, surpassing his father’s tally of 14 grand prix victories. Hill’s pole position proved crucial as a downpour hit Interlagos shortly before the start, and that meant he was free from spray which dogged his rivals early on. “When I first went out a bolt of lightning hit the track in front of me,” Hill said. 1998: Andy Wallace drove a standard McLaren F1 production car at 240.14 mph (386.46 kmh) at the Volkswagen Proving Ground, Wolfsburg, Germany. 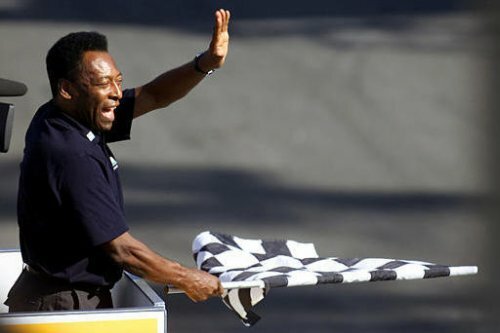 Pele (eventually) waves the chequered flag at the 2002 Brazilian Grand Prix. 2006: The loyalty of the Dutch fans throughout the 2005-06 season was rewarded as A1 Grand Prix announced that Circuit Park Zandvoort would host the first race of its second season. Grandstand tickets sold out in a matter of days and additional seating had to be arranged. 1903: The Polish Count Eliot Zborowski, father of the creator of the ‘Chiity-Chitty-Bang-Bang cars, became the first competitor to be killed during a hillclimb, when he crashed his Mercedes at Le Turbie., near Nice, France. The event was abandoned and the course subsequently shortened to less that half its former length. 1908: Frank Newton driving a Napier won the Brooklands April 90HP race. 1951: Marshall Teague drove his Hudson Hornet to victory in the season-opening NASCAR Grand National race on Daytona’s Beach-Road course. Bill France was successful in luring suspended AAA driver Bill Holland into the NASCAR fold. Holland drove a Nash Ambassador, but encounters early mechanical trouble and finished 47th in the 54-car field. 1962: Willy Mairesse won the non-championship Brussels Grand Prix in a Ferrari Dino. 1967: Mario Andretti and Bruce McLaren teamed in the new Ford Mk. 4 to win the Sebring 12 Hour World Sports Car Championship race. Changes to the circuit made the course faster than ever as the winners broke all records, averaging 103.13 mph and covering 1,237.6 miles. Like Daytona, Mike Spence set fastest lap in the Chaparral 2F he shared with Jim Hall, only to retire. 1972: Neil ‘Soapy’ Castles won the 200-mile Grand National NASCAR Eastern Division race at Greenville, South Carolina, US – his first victory in over 400 starts dating back to 1950. 1973: David Pearson recorded a runaway win, the 68th of his career, in the Atlanta 500 at Atlanta International Raceway, Georgia, US. Pearson, who started ninth, led 155 of 328 lap and beats Bobby Isaac to the finish by two laps. Third-place Benny Parsons finished five laps off Pearson’s pace. 1978: Triumph TR7 V8 was homologated for rallying. 1979: David Kennedy driving a Wolf-Cosworth WR won the Belgian Cup at Zolder. 1979: The final Cannonball Run began at Darien, Connecticut. The only rule was to reach the Portofino Restaurant in Redondo Beach, Californian in the shortest time possible. Speeding citations received along the way were the driver’s responsibility and did not disqualify the vehicle (although having to stop to receive a ticket increased the vehicle’s overall time). David Heinz of Tampa, Florida and David Yarborough of Charleston, South Carolina completed the 3,000 miles driving a black XJS Jaguar in just 32 hours and 51 minutes. 1993: Alan Kulwicki (38), nicknamed “Special K” and the “Polish Prince”, an American NASCAR Winston Cup Series racecar driver, died in a plane crash returning from an appearance at the Knoxville Hooters in a Hooters corporate plane on a short flight across Tennessee before the Sunday spring race at Bristol. Alan, son of USAC mechanic and engine builder Jerry Kulwicki, grew up in Milwaukee. His father didn’t approve of his son racing cars, but Alan raced all the same. He became the youngest racer to start a late-model stock- car race in Wisconsin when, at the age of 18, he started a race at the Hales Corners Speedway. He took home $27. Little by little, Alan worked his way up the ranks of American stock-car racing. Continuing to pursue his dream to race on the NASCAR circuit, Alan owned, maintained, and raced his own cars throughout his career. He became the Winston Cup Circuit’s “Rookie of the Year” in 1986, a remarkable feat considering he raced without heavy corporate sponsorship. The next year his success brought him a sponsorship from Xerox. Alan went on to win the Winston Cup Circuit in 1992. His untimely death prevented him from defending his title. 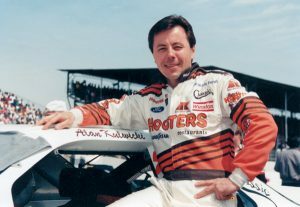 The 38-year-old Kulwicki had been the first owner-driver to collect the championship since Richard Petty did so in 1979, as well as the first NASCAR champ to hold a college degree. 2001: David Coulthard in a McLaren won the Brazilian Grand Prix at Interlagos.